I hope everyone had a wonderful weekend!! A quick thanks to everyone that posted on my last blog update..... I'm slow to get some responses out! Great progress on your stitching..
Great Update! I hate working with metallics too. They sure look beautiful after the pain they cause though. Great progress. It looks beautiful. Lovely orts. I hate metallics too. Your stitching is lovely! I've never stitched with metallics but can imagine they are a challenge. Metallics make me cry too but I like the effect. You got a lot done, Lesli. Have you tried running your metallics lighting over Thread Heaven? 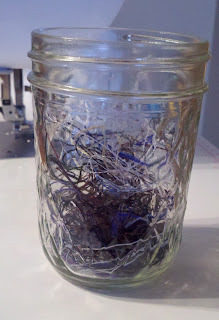 Also, use a bigger needle when you're stitching with metallics. It makes a bigger hole through your fabric and allows the thread to go through easier. Love the progress, good luck with the metallic. I can't stand working with light effects floss. Wow! you got a lot done. Congrats! Beautiful stitching!! I love the colours in this design! Great ort jar!! Great progress and the metallic's look fantastic (even though they are a pain!). 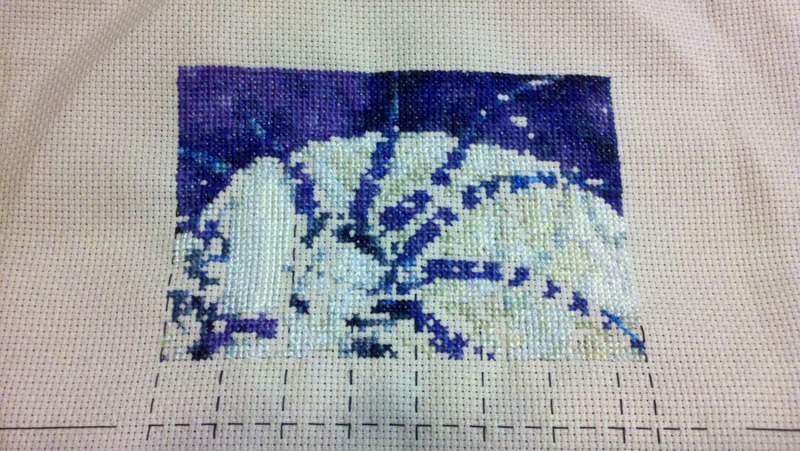 I hate to stitch with metallic threads!! In the end, it's beautiful...but it's a fight to get it well done! You got loads done, lesli! Great job! It looks beautiful.... makes the metallics worth the tears!